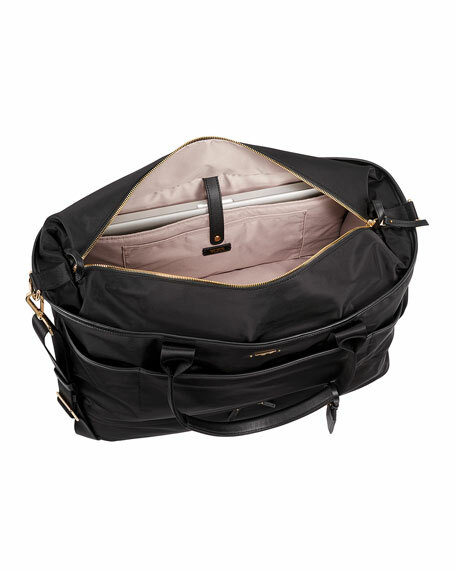 Make a weekend of it with this roomy duffel, featuring a separate zipped compartment at its base, perfect for shoes or other additions, and a padded laptop compartment. 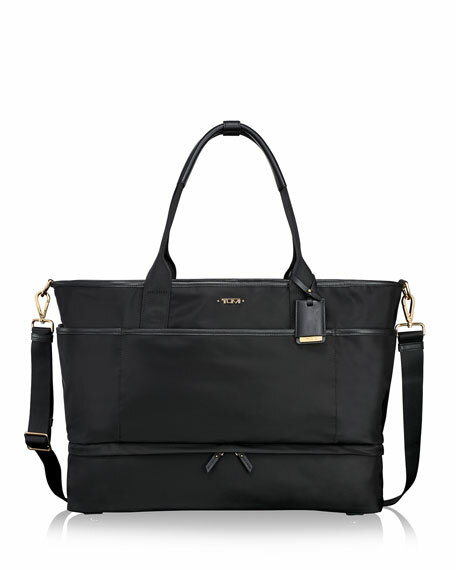 Nylon weekender bag with leather trim. 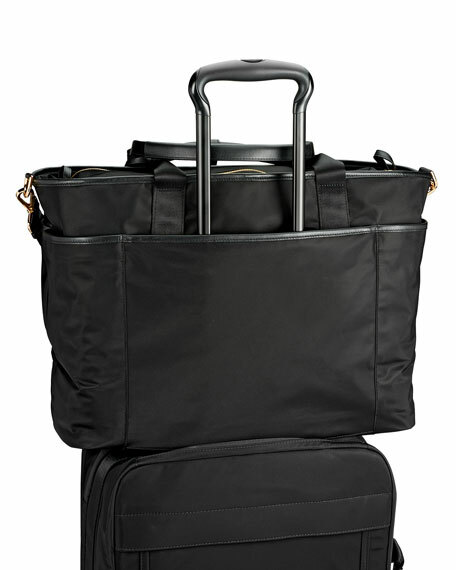 Exterior front and side slip pockets. Interior laptop sleeve and slip pocket. 20.5"W x 7"D x 13"T.